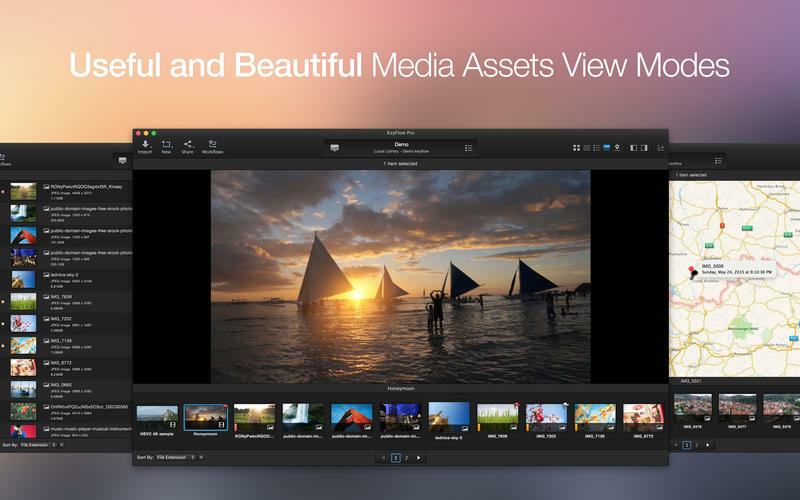 Introducing KeyFlow Pro, a simple, but powerful media asset management software program for personal users, and small workgroups. 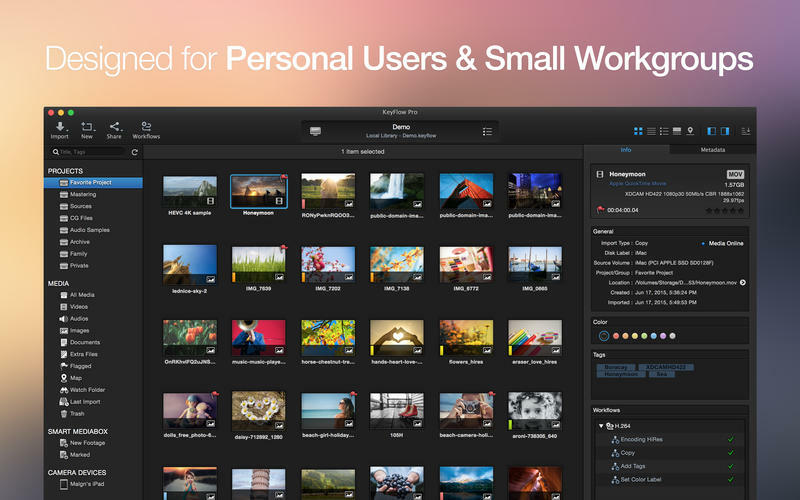 KeyFlow Pro makes using, organizing, managing, and sharing your large library of media files incredibly easy. – You can choose either ‘Copy to library’ or ‘Leave files in place’ when you import media files. – You will be able to see the same Tags in the KeyFlow Pro and Finder. – Displays assets with location information in the Map view mode. – The fastest H.264 transcoder for preview embedded. – You can search and preview files with the path name even when the hard drive is offline. – You can configure custom metadata set with user-defined metadata field easily. – You can assign workflows to specific project(automated job process), or apply a workflow to the asset selected anytime. – Automatically import files to specified projects in KeyFlow Pro library using Watch Folder. – When you connect the camera device (e.g., iOS devices), it will automatically shown in KeyFlow Pro. 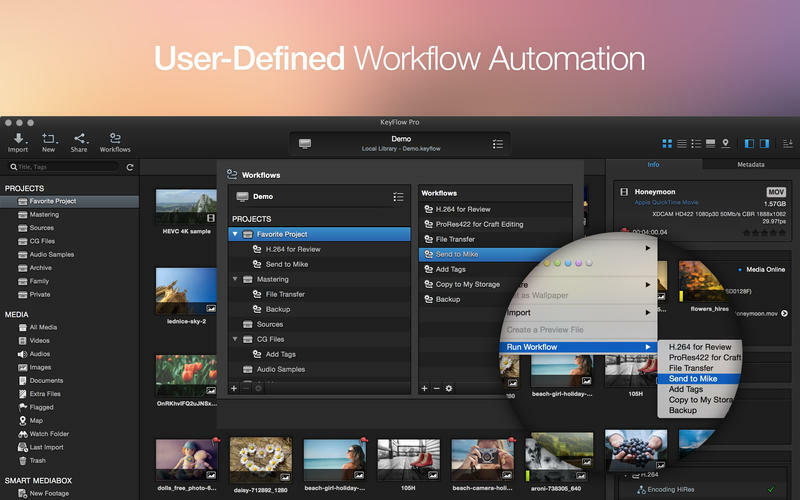 – Drag and Drop media files directly from KeyFlow Pro to other applications. – Inside Final Cut Pro X, you can export media files directly using FCPX Agent we provide separately. – The remote users can search, preview and download the files on your shared library. File tracking feature for the reference type imported file has been improved. (HFS+ file system only). © Copyright (c) 2015 Malgn Technology CO, LTD. All rights reserved. My Crazy Cars - Design, Style & Drive! East Meet East — #1 Asian Dating. Flirt now!